The Prius is an award-winning mid-size vehicle from Toyota. More stylish and more responsive than ever before, the Prius continues to redefine the prius experience. Since 1997, the Prius has become the most sold Hybrid car in the world! The first thing you’ll notice about the Toyota Prius is the triangular body shape, angular and dynamic whilst still retaining the low and purposeful stance. 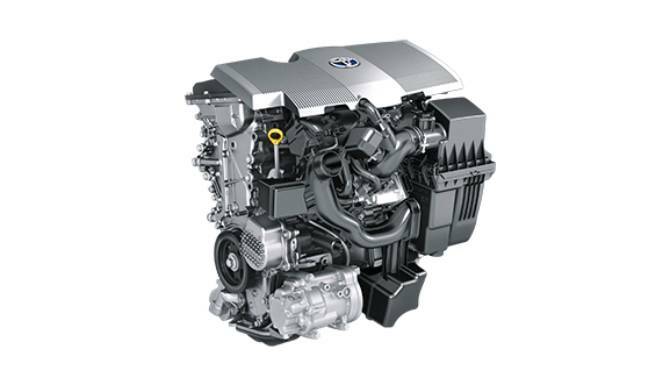 Many aspects of the body reflect the high-quality driving dynamics, even the smallest of details have been specifically designed to enhance airflow and improve performance. 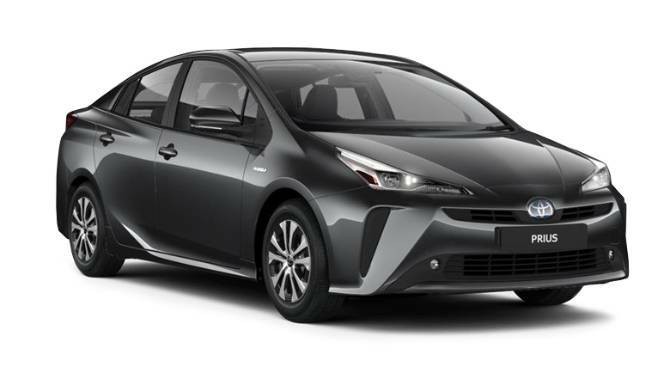 The sleek and sporty styling of the front headlights, the low, gently sloping bonnet and roofline and the vertical configuration of the rear headlights are all designed in such a way as to enhance the performance of the hybrid Prius. Toyota has also implemented it's Toyota New Global Architecture (TNGA) platform, which is an advanced brand-new way of creating vehicles. The purposeful styling of the all-new Prius has made it both eye-catching and a pure pleasure to drive as well as enhancing its efficiency! The dimensions of the New Toyota Prius show just how spacious and comfortable it is with plenty of room to feel relaxed while driving for long distances. 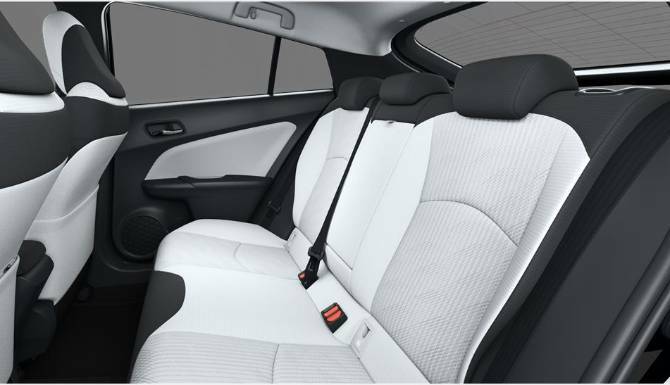 The interior of the Prius is fully representative of the attention to detail that Toyota has applied when constructing their range. Demonstrating the perfect balance of high-quality comfort with practicality is the smart and classic choice of either Black or Cool Grey interior. The Toyota Prius also features a Head-Up Display that projects onto the windscreen to ensure you never have to take your eyes off the road. 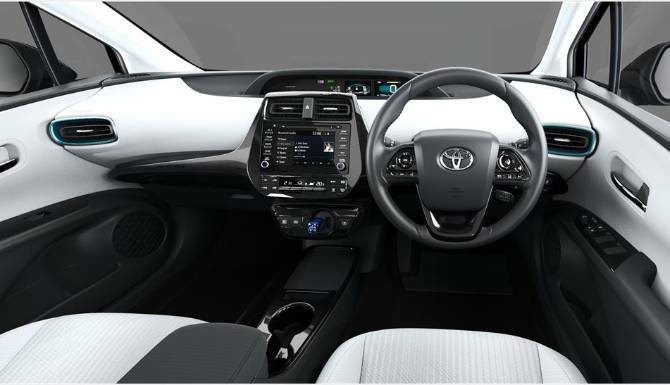 The new Toyota Prius features a sleek premium dashboard that has been designed for comfort and usability. The interior also benefits from a 7" touchscreen with Toyota Touch® 2 Go Navigation and Media System, JBL premium sound system and wireless charging for mobile phones. The design is based intrinsically on ergonomic design, with adjustable elements to make sure the interior and your driving position are suited to your preferences. The designers have strived to give you a comfortable and enjoyable surrounding in which to truly embrace the improved driving experience. 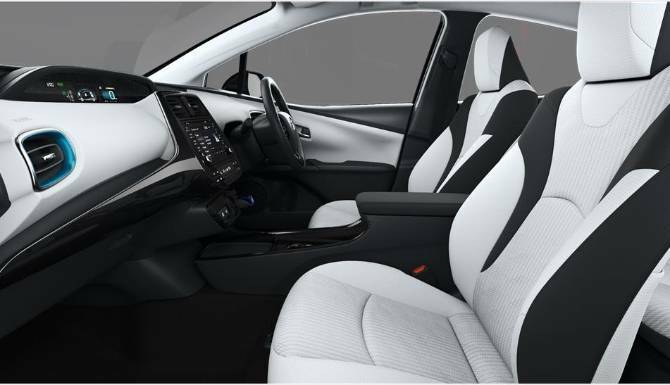 The cool grey interior customisation allows you to choose the interior that suits your personality best and makes your brand new Toyota Prius feel even more unique. The delicate blue lights on the dashboard pop out even more on this customisation as they are the key colour when it comes to hybrids. The Prius boasts a modern and up-to-date interior, hosting a whole plethora of innovative and state-of-the-art technology. Working alongside the connective and entertainment technology is an impressive system of safety features, making the Prius practical, reliable and safe. The new Prius has incorporated a brand new hybrid edition into the family. The battery recovers more energy which means more time to enjoy the smooth and quiet EV mode and it boasts a really smooth transition between EV and petrol too, meaning that you can enjoy an interrupted and intuitive driving experience.